Cross country runner Colleen Lang, who assumes an unspoken mother-role on the team and provides support to her team members, took first place in one of the most important races of her career, clocking in at 19:45 in three miles and winning the Gabilan Division of the Pacific Coast Athletic League Championship on Oct. 27 at Toro Park. Lang joined the cross country team as a freshman and has consistently honed her skills and progressed as a runner. Now a senior, her leadership role in the team is obvious, as is her dedication to the team and the sport. Her coach says Lang stands out in the team as an exceptional runner and team member, and one of the moments that illuminated this for him was her race last year at the Mission Trail Athletic League Championship. She was beaten by another member of the Carmel team, current sophomore Rachel Seuss, and showed great sportsmanship in how she celebrated Seuss’ win instead of lamenting her own loss. Outstandingly enough, 19:45 wasn’t even the fastest time Lang’s run on the Toro track—a week before at a practice meet, she ran the course at 19:29, 16 seconds faster. The Pacific Coast Athletic League is comprised of teams from 30 different schools in Monterey, Santa Cruz, Santa Clara and San Benito counties, separated into divisions based on the strength of the teams; Carmel’s division, the Gabilan Division, is the highest division of the PCAL. 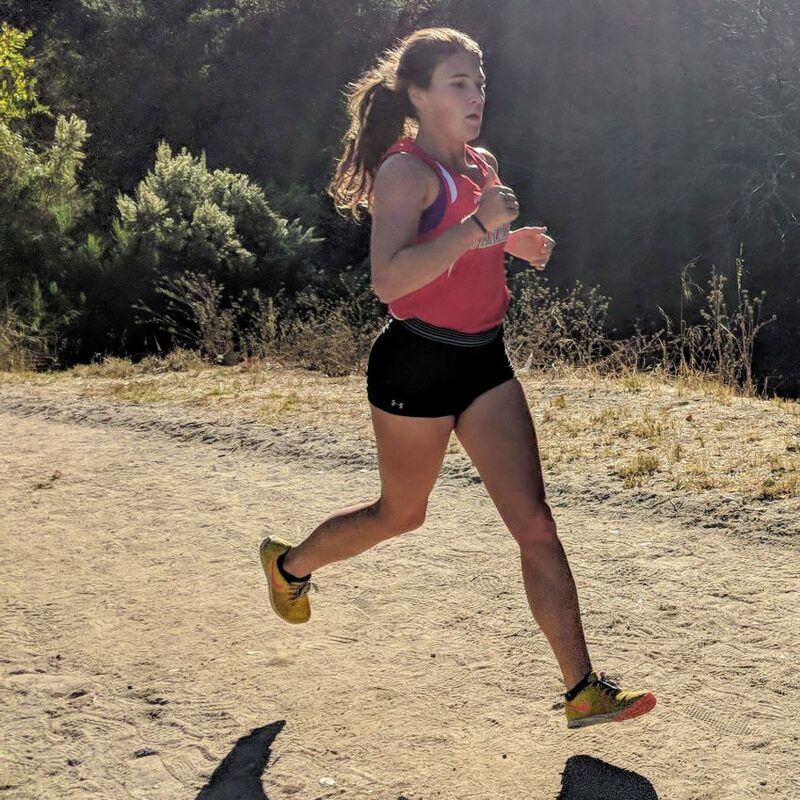 CHS junior and cross country runner Sienna Anderson is cognizant of Lang’s overarching influence on the running scene at CHS, noting how Lang organizes group runs not at all affiliated with the team over school breaks just for the sake of running with friends. Lang mentions that the love she has for her team has helped foster her passion and devotion to running, and being part of the cross country team has been the best part of high school for her.